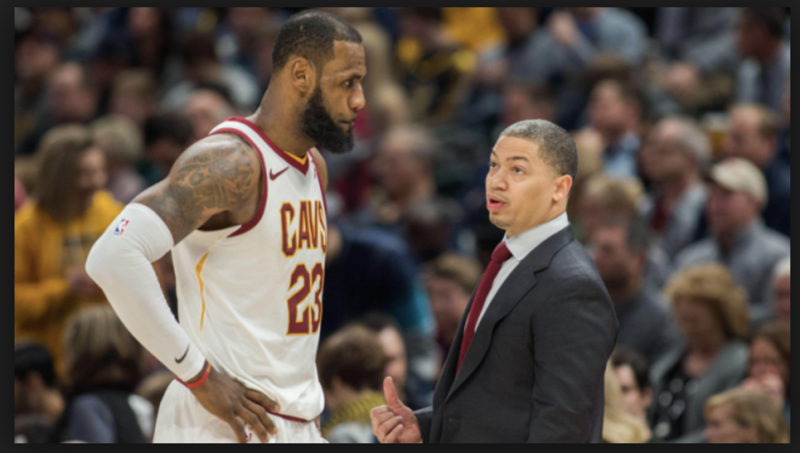 Tyronn Lue says he was 'shocked' by LeBron James going to L.A.
Tyronn Lue says he was ‘shocked’ by LeBron James going to L.A.
LAS VEGAS– As Cavs summer league kicked off Friday night in Las Vegas, head coach Tyronn Lue spoke for the first time about losing LeBron James in free agency. Lue was asked the unavoidable question of what he thought of James decision when he appeared on NBA TV”s broadcast of the game, and admitted that it did come as a bit of a shock, while also saying he understands the move being a family one. "I was shocked…. He said this decision was solely for him and his family. I can live with that." This is probably one of the most candid answers Lue has given since he took over as head coach back in 2016, and there isn’t much more left for him to say on the matter it would seem. The second most obvious question for Lue is how the team will adjust without James leading the way on offense. Lue said that the biggest thing will be having guards in the lineup (three guards specifically) that can facilitate not just for themselves, but for their teammates. “I think the biggest thing is having three guards in the starting lineup that can dribble, pass and shoot,” he said. “I think that creates for themselves and for other people. With LeBron playing, we put a lot of shooters around him that you couldn’t help off of. That allowed Bron to get into the paint, putting J.R. Smith and Kyle Korver and those guys around him. You’re not going to leave those guys or they’re going to make shots. Using shooters around James has of course been effective over the years, but as Lue said, the need for shot creation in 2018-19 is a blatant one. Also of note in that answer is the fact that Lue mentioned Hood by name. Hood is a restricted free agent, and could still end up on another team. But it would appear that he is at the very least in Lue’s plans for the upcoming season.